Lemon is one of natures most versatile fruits, and because of its high vitamin C content, antibacterial and astringent properties, lemon is the de facto garnish in herbal teas. Lemon is used in herbal medicine to help build immunity against colds, influenza, and other viral infections. In her classic work, Grieve tells us lemon is a good astringent to use in gargles for sore throats as wise women well know. Lemon is very effective for disinfecting and cleaning household surfaces, and leaves a fresh clean scent. (2) Adding a simple slice of lemon to water not only improves taste, it provides citric acid, purifies the water, and balances Ph levels. Lemons are an old standby for home beauty treatments. Lemon and lemon oil help to prevent wrinkles while adding a refreshing note in facial washes and masks. Applying lemon juice to facial blemishes is another popular home remedy for treating acne. Putting lemon juice on your hair and then lying in the sun was how a country girl went about getting highlights in my youth. Lemon is very astringent which is why is works so well, but also why you have to be careful not to use so much that the end result is dry, flaky skin and hair. 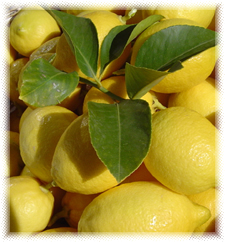 Lemon essential oil can be used for many of the same applications as fresh lemons, without being quite as drying. Fresh lemons are becoming so expensive, especially during the winter months, that lemon essential oil may be the better bargain as well. Preparation Methods & Dosage : Lemon juice is a favorite home remedy for treating acne and wrinkles. Use the astringent power of lemon in facial masks and treatments for acne, wrinkles and oily skin. A few drops of lemon essential oil is useful as a water purifier, as is a slice of lemon. 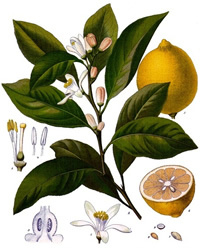 Lemon essential oil is expressed from the peel of the fruit. 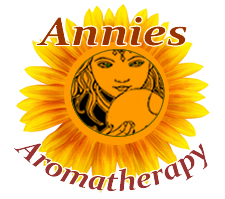 The scent is evocative of the fresh ripe peel and refreshes the mind and helps to improve mental clarity, uplifts depression, mood swings, anxiety, and emotional stress. Lemon oil is good to use in gargles for sore throats, and a few drops of lemon oil in warm water freshens the breath. Lemon used as an astringent for facial care, it helps to prevent wrinkles and is great for use in facial masks for refreshing the skin. In the Kitchen: t would be a great loss to kitchens everywhere were there no lemons. Lemons are used to make lemonade, garnish for drinks, marinate fish and tenderize meat, make marmalades, lemon zest is added to baked goods, and lemons make a liqueur called limoncello. Ayurvedic Medicine There is a belief in Ayurvedic medicine that a cup of hot water with lemon juice in it tonifies and purifies the liver. Lemon Side Effects: Lemon oil in the bath or in massage oils should be well diluted as it can cause skin irritation. Avoid using the oil in body care products when going out into the sun. Maud Grieve. "Modern Herbal Volume 2" Harcourt, (1931) Lemon is a good astringent to use in gargles for sore throats.